The Knudsens were major players Kauai’s economy from the late 19th century to the mid- 20th century, producing cattle and sugar and overseeing large tracts of land, but the family’s cultural legacy was at least as significant.Valdemar Knudsen, the patriarch, became fluent in Hawai’ian and made the first written studies of Kauai’s birds and plants. His abiding respect for native customs and religion made him a natural go-between for the Island’s native and haole populations, and his erudition led to his appointment as agent for the Kingdom’s Board of Education. Under King Kamehameha IV, Valdemar became a noble with governing power on Kaua’i. All five of his children grew up among native Hawai’ians, and in addition to speaking Hawai’ian were well versed in local myths and religious practices. While Eric went on to become Hawaii’s preeminate folklorist, publishing the first English-language books of Hawai’ian myths and legends, his older brother Augustus concerned himself with Hawai’ian religion, a polytheistic faith that incorporated ancestor worship and animism. Augustus also claimed to have seeen a menehune on one of his camping out nights. He had been late hunting cattle, and built a fire to keep warm. As he sat eating chocolate and hard tack, he suddenly realized that across from him through the flames he could see a little figure, bushy haired and heavly bearded, and clad only in a malo, and about 18 inches high. …in 1896 he had saved up enough money to go to India. He was sure there was a great connection between India and Hawaii. He was interested in the occultism…and black magic. Oral History of Ruth Knudsen Hanner, courtesy Kauai Museum. Von Holt, Ida Elizabeth Knudsen. Stories of Long Ago: Niihau, Kauai, Oahu. Honolulu: Daughter of Hawaii, 1985. When Anne Sinclair married Valdemar Knudsen in 1867, she moved from her family’s “forbidden” island of Ni’ihau, whose population numbered in the low hundreds, to the comparatively populous but still rural Kaua’i, 17 miles to the east. 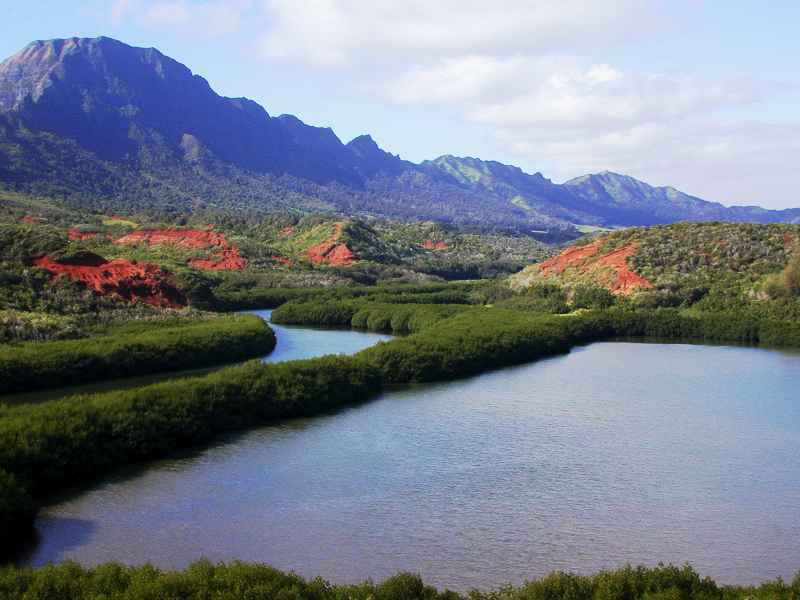 Though Kaua’i had some towns–Hanalei to the north, Kapa’a and Lihue to the east, and Koloa to the south, the Knudsens lived on a ranch at the western end of the Island, not far from where the road ends and the Napali Coast begins. The remoteness of their home, Waiawa, was underscored by its proximity to Polihale, an enormous white sand beach considered by Kaua’i’s natives to be “the place from where the souls of the dead descended to Po in the ocean depths,” according to Ida Knudsen Von Holt, Anne and Valdemar’s eldest daughter. But Anne and Valdemar, both products of prosperous, educated families, were equally dedicated to their children’s formal education. At the ranch, Anne began the day by teaching them reading, writing and music. Then Valdemar would take over, teaching math and German before turning the children loose to collect plant samples for their botany class. An amateur ornithologist who was the first to catalog the Island’s birds, Valdemar also taught his children astronomy and Norse folklore. The Knudsen children’s home-schooling culminated in a nearly three-year family stay in Berlin and Vienna, where they were enrolled at various academies and conservatories. They completed their educations in Boston, the girls at finishing school and the boys at Harvard and MIT. Kaua’i was home, but the Knudsen children’s splendid educations were a springboard for their varied destinies. Ida, a conservatory-trained musician, became a patron of the arts in Honolulu while raising a large family in the adventuresome style of her own childhood. Maud became a talented painter as well as a wife and mother. Eric, in addition to running his father’s businesses, had a distinguished political career in Hawai’i and became a noted folklorist. But it was Augustus who broke with the family, and with Kaua’i. Though he became an engineer as Valdemar had wished, and returned to Kaua’i for a time to run the family ranch, he was far more passionate about astronomy and religion. It was the latter interest, which he attributed to encounters with kahuna (Hawai’ian priests), that drew him to India and Hollywood, places far removed from his childhood paradise. Additional Source for quotes and photos: Von Holt, Ida Elizabeth Knudsen. Stories of Long Ago, Niihau, Kauai, Oahu. Honolulu: Daughters of Hawaii, 1985. 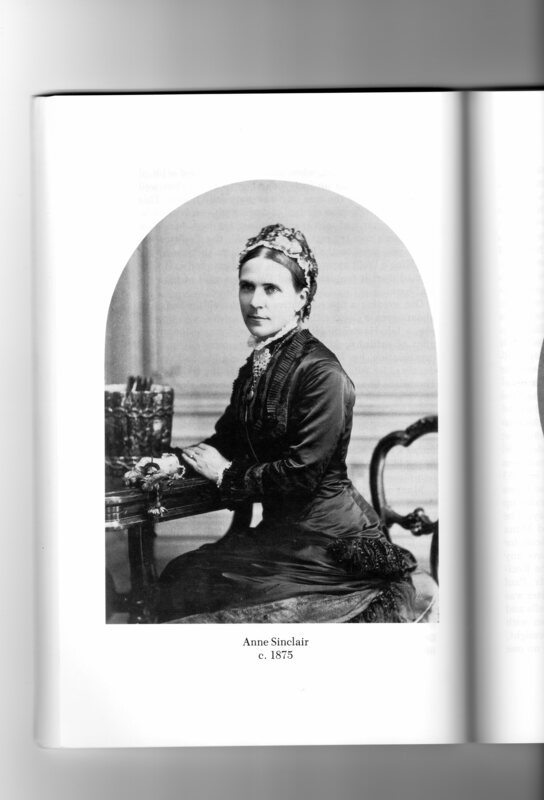 Anne Sinclair Knudsen (1839-1922) was not only the matriarch of one of Hawaii’s most distinguished kama’aina (non-native resident) families but a major landholder in her own right. When she married the much older Valdemar Knudsen in 1867, Anne Sinclair was already an heiress who lived on her family’s private island–Ni’ihau–off the western coast of Kaua’i. Anne’s widowed mother, Eliza McHutchinson Sinclair, had purchased Ni’ihau from King Kamehameha IV in 1863. For this substantial but arid property, she paid $10,000. (The Sinclairs, a prosperous and highly adventuresome Scottish family, had come to Hawaii after two decades in New Zealand, where they raised cattle and played a significant role in the colony’s development.) Four years later, Mrs. Sinclair gave Anne $10,000 as a wedding present, which Anne used to buy the Ahupua’a of Koloa, a magnificent parcel on Kaua’i’s South Shore. 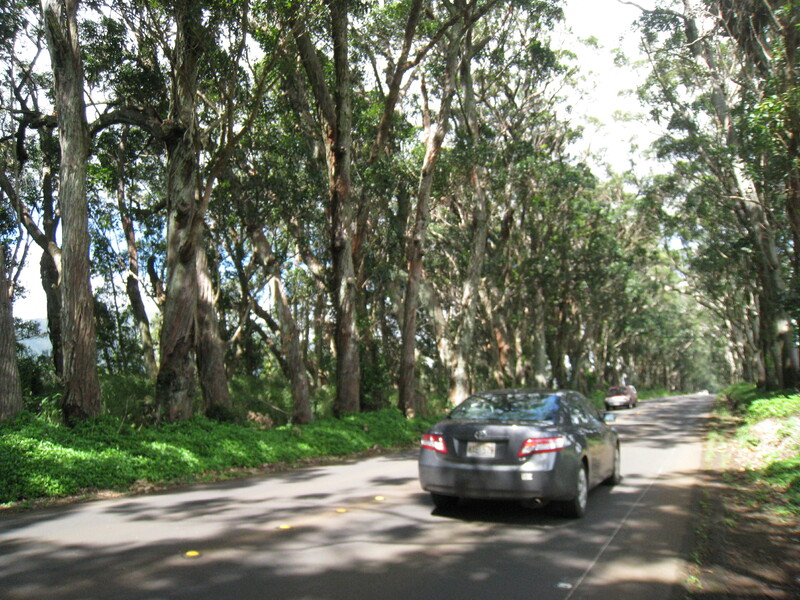 The 6,500 acres stretched from what is now Highway 50 to the Pacific, and included Knudsen’s Gap, the town of Koloa, and Poipu Beach. Because her husband Valdemar also owned considerable acreage on Kaua’i, including the Kekaha Sugar Company, their combined holdings made the Knudsen family one of Hawaii’s largest landowners. Upon Anne’s death, the Ahupua’a of Koloa passed to her two sons, Augustus and Eric. (A third son, Arthur, had developed major mental illness in his twenties, and died before his mother.) Anne had spent some of her long widowhood in Beachwood Canyon, where Augustus had moved in 1912. The Knudsen house on Vista del Mar Avenue, though Spanish Colonial in style, was Hawaiian in spirit, with terraces off all its room and a lanai that took up the entire third floor. One imagines the elderly Anne Sinclair Knudsen there, staring out over Hollywood while remembering a very different view: the blue waters off Kaua’i, and the whale-shaped island of Ni’ihau in the distance. Von Holt, Ida Elizabeth Knudsen. Stories of Long Ago: Niihau, Kauai, Oahu. Honolulu: Daughters of Hawaii, 1985. Alfred Willis, “The Surviving Buildings of the Krotona Colony in Hollywood,” Architronic, vol. 8 n. 1, 1998. Beachwood Canyon was the Theosophists’ ideal. Not only did it boast a mild climate and spectacular views in every direction, but its location–at the northern edge of Hollywood–would allow members to live an essentially rural life while holding a variety of non-agrarian jobs. Excellent public transportation, via the trolley that stopped at Argyle and Franklin, was a stone’s throw away. Plans were quickly drawn up for the new community, which Warrington named Krotona, after the 5th Century, B.C., school founded by Pythagoras. The highly regarded architectural firm of Mead and Requa was commissioned to design Krotona’s two most significant buildings: the Krotona Inn (now Krotona Apartments), a combination lecture hall-worship space and living quarters for students; and the Knudsen Residence, home to Augustus Knudsen. 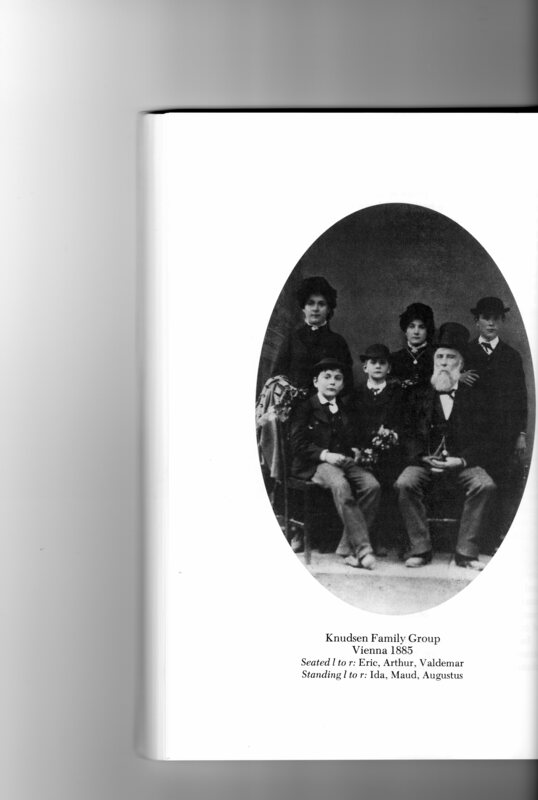 Knudsen was a prominent Theosophist and the most important of the “earnest members” whose money bought the land for the Krotona Colony. Augustus Knudsen was a son of one of Hawai’i’s most prominent haole families. His father Valdemar emigrated from Norway to Kaua’i in 1856, where he managed a plantation, Grove Farm, and (apparently) owned brothels during his rise as a sugar baron. By the 1870s, Valdemar was not only one of the largest landholders on Kaua’i, but a noted botanist and ornithologist. His importance is reflected in not only in his classic study of Hawai’ian birds but various place names on Kaua’i–Knudsen Road, Anne Knudsen Park, and Knudsen’s Gap. Valdemar and his Ni’ihau-born wife, Anne Sinclair Knudsen, had five children. The most prominent, Eric Alfred, was a writer, folklorist, lawyer and politician who served as Speaker of the Hawai’i House of Representatives. Eric’s brother Augustus Knudsen was also a writer, authoring two engineering books and one on astronomy. After studying civil engineering at MIT, he returned to Kaua’i to manage the family ranch and hold various positions in local government. Drawn to Theosophy because of his experiences with Hawai’ian kahunas and their rituals, he traveled to India and joined the Theosophical Society in 1897. After another decade of ranching and farming on Kaua’i, Augustus Knudsen moved to Los Angeles with his wife and widowed mother. His vocation in Hollywood was publishing an agricultural magazine called Little Farms–and, of course, establishing the Krotona Colony. Knudsen’s fortune came from Valdemar’s Kekaha Sugar Company. 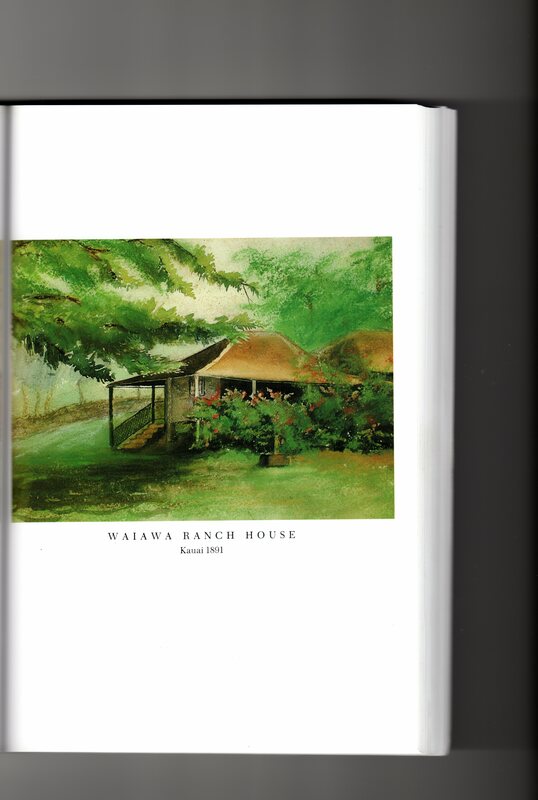 Thus Hawai’ian sugar not only bought the Krotona tract but the magnificent Mead and Requa hillside house that Knudsen commissioned for his family at 2117-2121 Vista Del Mar Avenue. Though the building no longer stands–its address is now occupied by the Krotona Apartments’ parking lot and a couple of small apartment buildings–Knudsen’s Hawai’ian roots are obvious in the original plans. Every room opens onto a terrace and the entire third floor is a lanai. In a Spanish Colonial flourish, Mead and Requa included a central courtyard with a garden. When the Krotona Colony began, Augustus Knudsen called it “an answer to the demand for a more definite exposition of the work called for in the Third Object of the Theosophical Society–the investigation of powers latent in man.” Whether or not Krotona achieved this purpose, Knudsen played a crucial economic and philosophical role in its development. On a personal note, I knew none of this when I moved to Beachwood less than four years ago, though I remember inexplicably comparing the Canyon’s atmosphere to that of Kaua’i, where my family has a 50-year history. It happens that the park named for Anne Knudsen is in Koloa, our home base on the island. A weirder coincidence is that I did all the field research for my undergraduate thesis at Grove Farm Plantation, where Valdemar got his start. Thus when I first encountered Augustus Knudsen’s name while researching Krotona, I experienced opposing emotions: the shock of recognition and relief that my instincts about Beachwood and Kaua’i had a historical basis. “A Survey of Surviving Buildings of the Krotona Colony in Hollywood,” by Alfred Willis. Architronic, 1998. Krotona of Old Hollywood, 1866-1913, Vol. I, by Joseph E. Ross. Montecito, CA: El Montecito Oaks Press, 1989. You are currently browsing entries tagged with Valdemar Knudsen at Under the Hollywood Sign.